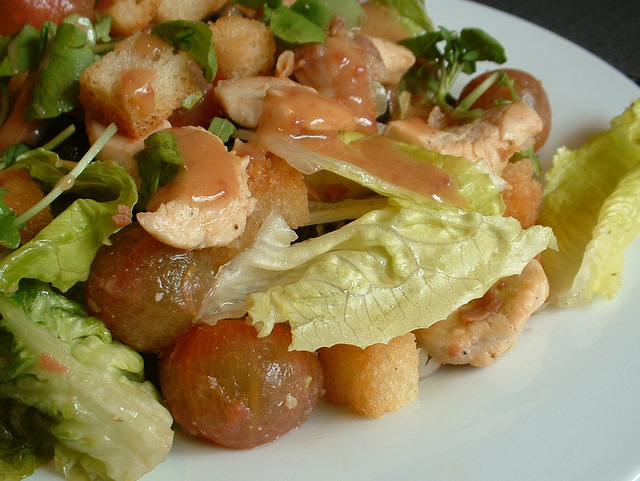 This salad recipe for couscous salad is quick to make and uses sweet chilli sauce and sultanas. 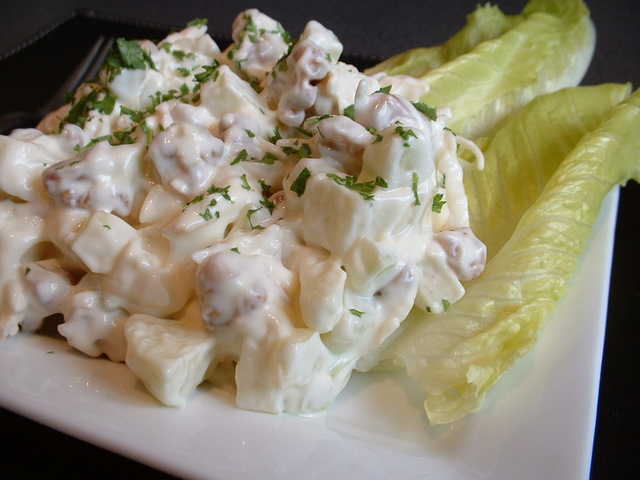 If looking for couscous recipes, this couscous salad will be ideal. Spread the almonds on a baking tray. Place under the grill and toast the almonds until golden brown. Chop the apricots into about 0.5cm dice. Pick the coriander leaves from the stalks. Mix everything together in a clean bowl and season the couscous salad to taste. This couscous salad makes a great snack at any time of the day. Other recipes using couscous include baked stuffed tomatoes. Couscous – Did you know? 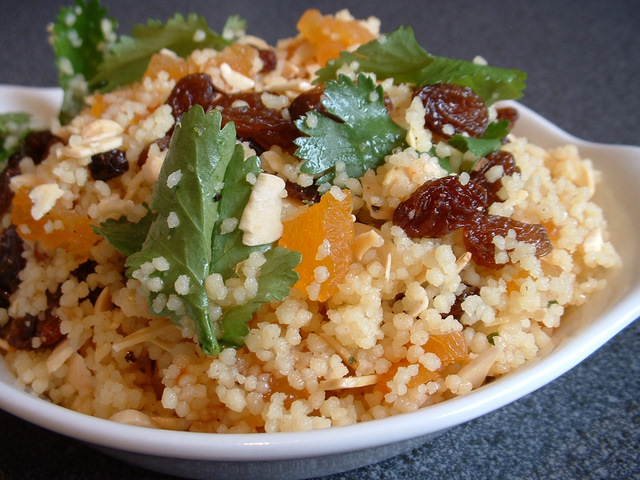 Couscous was voted as the third favourite dish of French people in 2011 (Wikipedia). One of the first written references of couscous is from an anonymous 13th-century North African cookbook (Wikipedia). Couscous is a staple food throughout the North African cuisines of Morocco, Algeria, Tunisia, Mauritania and Libya (Wikipedia).